High powered commercial VHF Transceiver. Black waterproof housing (S IPX8, 1m depth of water for 60 min). 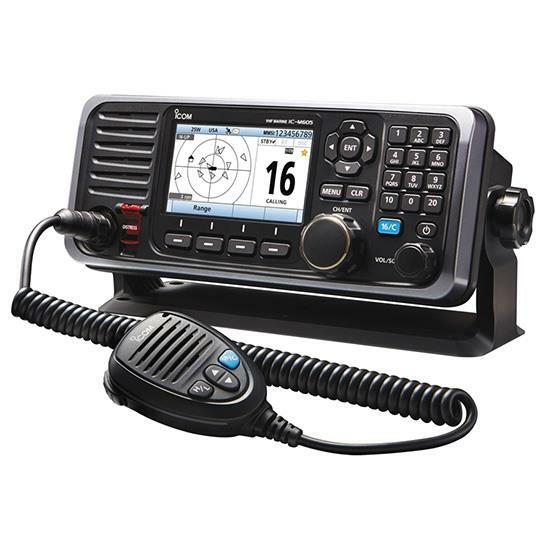 Marine VHF with Class D DSC. NMEA 2000, NMEA 0183, HS Connectivity. Wide Viewing Angle 4.3" Colour TFT LCD. Up to 3 command head/mics.